At the December 4th meeting, during the Town Hall meeting, Clark Lipscomb, with Cornerstone Holdings LLC, presented a monthly invoice for the underpass project to council. The total amount, $2,208,363 included $31,000 in interest accrued for the month of November 2018. Lipscomb told council that the railroad portion of the structure is completely finished. 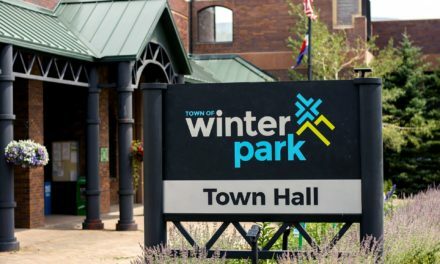 The underpass, located north of the town of Winter Park, will provide an option to the town’s two at-grade railroad crossings. Lipscomb told council that the build of the extension road to the underpass is 100% at the town’s cost. He added that there is currently a large pile of earth the town could use for road construction, if they begin work soon, or, Cornerstone will begin the process of clearing the pile, “which would make road construction costs go up”, said Lipscomb. 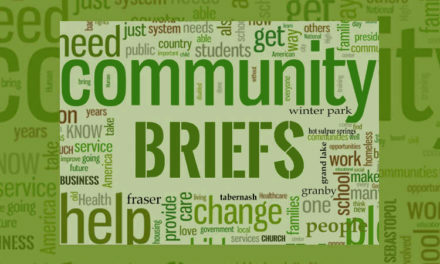 Town Manager, Keith Riesberg, advised Lipscomb that, since no request for underpass funding had been received in time for the town’s 2019 budget preparation, no funds had been set aside for the project in 2019. Lipscomb responded by saying “invoices have been submitted monthly since the project began… it is not necessary to put in a budget request for interest owed”. Lipscomb handed the invoice to Riesberg and thanked the council for their time. Old Town representative Gigi Dominguez updated council on the status of town projects. Dominguez said that she and Capital Projects and Parks Director, Gerry Vernon, have had good communication. According to Vernon, the new street lights will be delivered on December 7th and will be installed on the 13th and 14th of this month. The weld has also been completed on the Old Town bus stop and the glass roof will be installed by December 15th. “Fingers crossed, all will be finished by December 17th, just in time for Christmas”, said Dominguez. Council thanked her for keeping them updated on the project’s progress. Council next approved the Consent Agenda and moved on to Action Items. Resolution 1663 certifies the Town’s Property Tax Mill Levy. The county assessor certified the total gross and net assessed valuation of $107,124,230. The Mill Levy will remain at 3.765 mils (1.765 general operating mill and 2.0 natural resources/forestry mill), which is consistent with the previous year. The total estimated revenue generated from the mill levy would be $403,323, based upon net valuation. The resolution was adopted unanimously. Res 1664 is to appoint a new Municipal Judge. The town’s current judge had submitted a letter of resignation, effective January 1, 2019, so the appointment would complete the judge’s term through April 2021. The town sought letters of interest and found Ronald W Carlson to be the most qualified for the position. 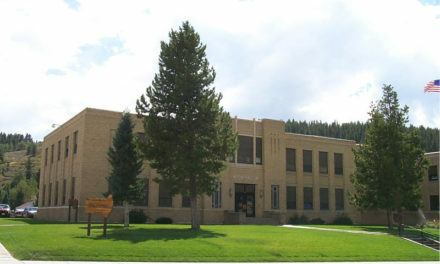 Carlson currently serves as a municipal judge for other mountain communities, including Silverthorne, Frisco, Dillon and Black Hawk and he resides in Summit County. Council approved appointment of Ronald W Carlson unanimously. Resolution 1665 is an acceptance of the Fraser River Partnership Source Water Protection Plan. 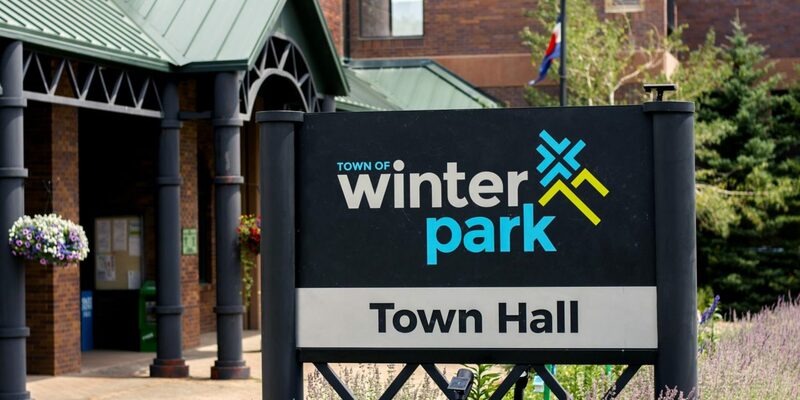 Community Development Director, James Shockey, told council that Winter Park is the last town to accept the Plan and it will now go to the county commissioners for their review and acceptance. Council approved the acceptance unanimously. Resolution 1666 recredits 7 single family equivalents (sfe) water taps to Winter Park Development Co LLC (WPDC). The town had contracted with WPDC to construct workforce housing units at Hideaway Place, in the Sitzmark South development. As a result of a re-evaluation of the tap fee schedule by Grand County Water & Sanitation #1, the town was credited for 7 sfe’s which should have been credited to WPDC. Town council approved the reassignment of 7 water taps to WPDC unanimously. In the Town Manager’s report, Riesberg discussed the construction at the public works facility. He told council that, given the size and limited space on the existing lot, staff is exploring options to move operations offsite to expedite the construction. Town staff are looking at locations for consideration, will nail down specifics and let council know their findings. There is also continued discussion with Winter Park Resort on the Dimmit II affordable housing project. A discussion on evaluating whether the town wants to be a partner in the project will take place at a workshop soon. They will be discussing the town’s ESTIP at the next workshop on December 18th. Councilman Seemann asked for an update on the new transit facility. Riesberg told him the town had engaged consultants on development of the site plan and, in February 2019, they plan to engage in a special use permit. The goal is to minimize the footprint of the 12 acre site in order to enable solar to be added on site as well. Mayor Lahrman announced that the town’s sales tax in October was 12% higher than the same period in 2017, making it the 50th of the last 54 months of record sales tax. “This gives us flexibility when it comes to budgeting”, he said. Mayor Lahrman also reminded all in attendance that it was Colorado Gives Day, a day providing “your chance to give to nonprofits, such as the Winter Park Housing Assistance Fund”, said Lahrman. On the search for the new Finance and HR Director, Riesberg told council the town had received a total of 9 applications and had narrowed it down to 2 candidates, both from Colorado, they’ll be reaching out to interview. Riesberg is assembling an interview panel made up of staff and a representative from the town’s banking institution to conduct the interviews. In the meantime, Bill Wengert continues to assist the town as needed from afar. 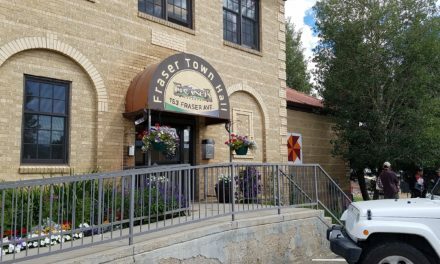 Along with the town of Fraser, the town continues to look into Vail’s InDEED housing program, which has been very successful in adding deed-restricted, affordably priced properties to the Vail Valley. The topic will be added to a future workshop for discussion. Councilman Myers asked about the recently demolished visitor’s center and whether the town has met with the developer on their building plans. Shockey confirmed that preliminary drawings had been presented to the planning commission, but nothing formal at this time. Once submitted, it would move through the design review process as any other development would. The next town council meeting will be held on December 18th at 8 am. To learn more, visit wpgov.com.